Landcare Illawarra would like to invite you to this exciting three part series of events which will showcase the amazing efforts of landholders in preserving and restoring Rainforest and Woodland in the Illawarra. 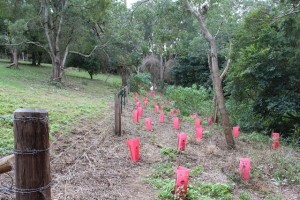 In 2012, Landcare Illawarra was successful in obtaining close to $500 000 from the Australian Government’s Biodiversity Fund to support landholders across the Illawarra to protect and enhance two Endangered Ecological Communities under the ‘Illawarra Woodland and Rainforest Project”. The two vegetation communities being addressed are Illawarra Lowlands Grassy Woodland and Illawarra Subtropical Rainforest. These two communities are restricted to the Illawarra region and are generally not well conserved. They are both listed as EECs under the Threatened Species Conservation Act NSW 1995. Illawarra Lowland Grassy Woodland occupies the coastal plains and escarpment foothills. It can co-occur with Illawarra Subtropical Rainforest on rural properties, with rainforest favouring the volcanic geology, gullies and scree slopes, and the woodland the hill tops. The original vegetation has been highly fragmented and reduced to isolated pockets due to land clearing and urban development. The loss of so much area has directly reduced the genetic diversity of species populations, with the isolation now a compounding factor by reducing the interbreeding possible. Remnant vegetation is also threatened with degradation due to the impacts of exotic weed species, and when unfenced, by grazing and trampling by farm animals. 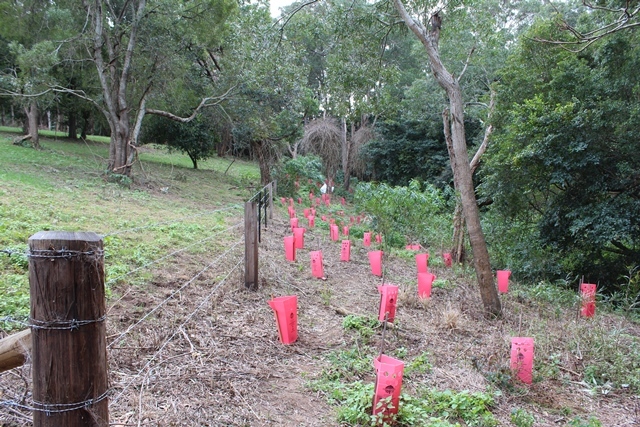 Landcare Illawarra in partnership with Conservation Volunteers Australia (CVA) has been working with landholders to carry out weed removal and to re-establish native vegetation by planting a healthy diversity of species. Each site brings different challenges. Some have feral animals such as deer and goats, as well as native animals, damaging and grazing planting sites. There is always a very high recruitment of secondary weeds to be dealt with over several years after primary clearance of weeds like lantana and wild tobacco. Sites may have varying levels of natural regeneration of the canopy and understorey species, and any ground covers present have been encouraged to spread by direct transplant into cleared areas. Landcare Illawarra has developed a number of techniques which are proving successful and we are inviting you to have a look at three of our project partnerships on properties which are showing encouraging levels of recovery and progress. When Mary and Peter Ribarovski first bought their property they wanted to know what was in the forest on the north side of the road. You could not get into it without cutting a track through the large areas of lantana. Fortunately, there was a shady forest and a gully with proper rainforest on the other side, the sort of place you can do something with. the worst areas of lantana had patches of trees around them where the lantana had disappeared or thinned out, so these were connected by tracks. 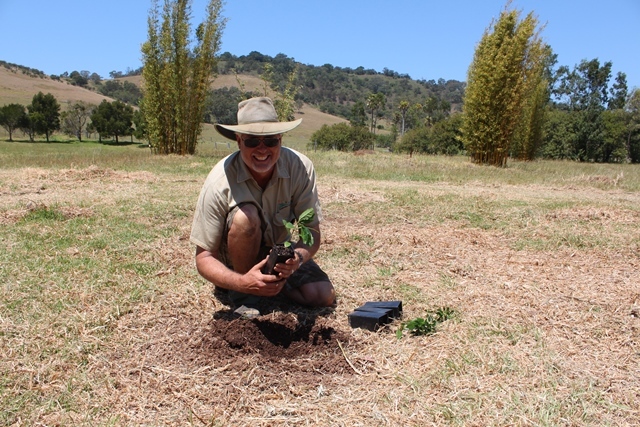 The first plantings of Kangaroo Apple and the first transplants of ground covers along the new tracks took place at this stage. The site had good regeneration potential. me has allowed us to clear substantial areas of lantana and to follow up on the secondary weeds every month. Ground Covers have been transplanted widely around the site to outcompete secondary weeds coming back. The vegetation edges have also been a focus of this project. 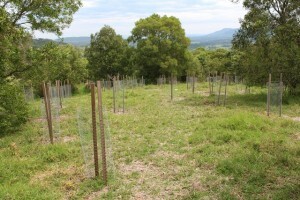 Tree plantings have been used along the road side and the paddock fence line to reinforce the natural bushy edge and thus screen the forest from weedy invaders. The shade of planted and naturally growing trees is going to provide a permanent solution to lantana, which will lose its sunny habitat to an overstorey. We are using the whipper-snipper to alter the balance between Cobbler’s Pegs and the native ground cover species. This is revolutionary because it is easy to show that mowing will transform the roadside weed problem if it is done in timely fashion. Native ground covers are the key to success again and they are present on most country roadsides currently suffering the worst Cobbler’s Pegs plague ever seen. The mixed forest on the Ribarovski property has been transformed by this initial work and is now seeing excellent assisted natural regeneration post weed removal by the CVA volunteers. Some areas are carpeted with rainforest seedlings, especially Red Cedar, such that workshop participants will be required to hover about 20 cm above the ground! Morning tea included, please bring your own snacks and lunch. Please note: Some areas of the site are unstable and steep, please have a reasonable level of fitness. Wear sturdy closed in shoes, long pants and long sleeves, a hat and bring insect repellent and sunscreen and plenty of drinking water. One of the sites Landcare Illawarra has partnered is the ‘Old Corrimal Colliery’ just under Brokers’ Nose in Tarrawanna. This site backs onto the Illawarra Escarpment State Conservation Area. High quality forest vegetation is extensive along the escarpment, albeit with some of its own issues, and it extends down through the colliery land. It is a mixture of Tall Eucalypt/Turpentine Forest and Subtropical Rainforest. The property has experienced a lot of disturbance from over a century of mining and industrial activity and suffers from large infestations of weeds including Lantana, Moth vine, Madeira vine, Wild tobacco and Cape ivy just to name a few. Four and a half years ago, John Reay purchased the property with a vision and a passion to preserve the unique history of the mine site and to rehabilitate the bush he fell in love with. 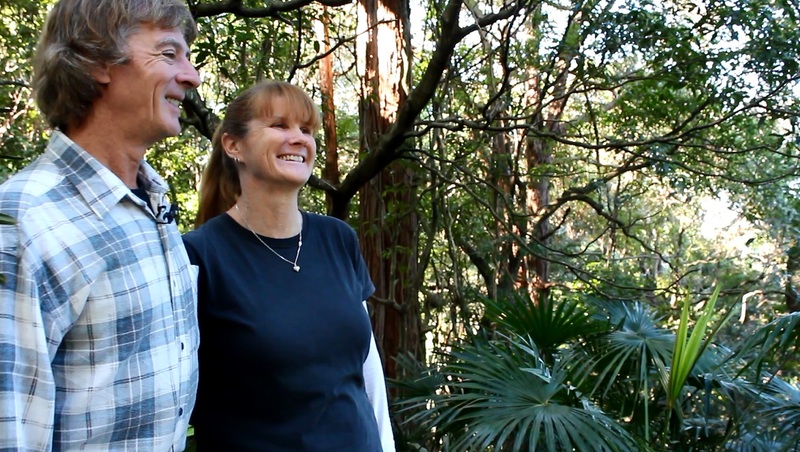 John and his partner Jill have been working and learning about bush regeneration as they have removed large sections of Lantana and secondary weeds to allow the forest to regenerate. In the last two years they received a boost of assistance from CVA and Landcare Illawarra to help them on this journey under the “Illawarra Woodland and Rainforest Project”. Once a month CVA volunteers join John and Jill and carry out a range of weeding, fencing and planting activities, with some occasional seed collection at the site. Deer are present and cause a lot of damage to revegetation areas, so fencing has been an important component of the project. The volunteers have also been transplanting ground covers around the site to suppress further weed growth, which has proved very successful. 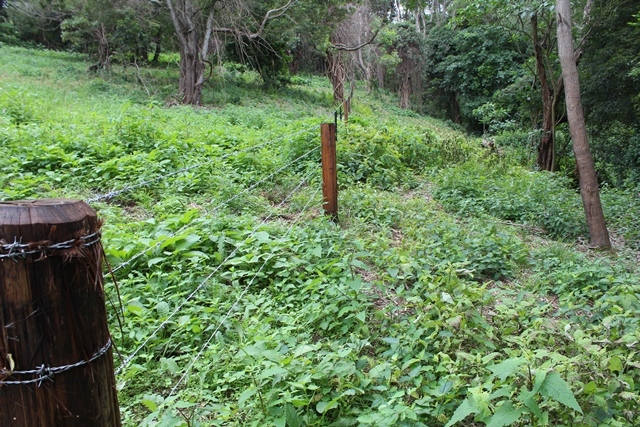 Some areas of the property have recovered so well you couldn’t even imagine there had been lantana and other invasive weeds there in the first place. “It’s one thing to have a desire to do something, but you need to learn, and the support has been at an educational and technical level. When I’ve been unable to define what a particular weed is, because there are many native look-a-likes, I’ve been able to seek help”. “This is such a monumentally large task, it’s not too difficult to lose the belief that you can achieve it, so getting other peoples’ interest is enormously encouraging”. Join landholder John Reay and Landcare Illawarra Project Officer, Richard Scarborough for a guided walk around the site to see the techniques being used to rehabilitate the site. A Taste of Paradise Farm is a place of new beginnings. The property is a registered Charity established to work with disadvantaged and at-risk young people. A wide range of activities take place on the farm including training in Horticulture, Agriculture, and Life skills. The landholder, Tim Francis, runs a wide range of farm animals and the production system is based on Organics and Permaculture. Many different enterprises and projects exist on the farm to provide opportunities for learning and inspiration for the young people referred to the farm from the Illawarra and Shoalhaven Regions. With all his back up help, Tim is growing a range of fruit and nut trees including Australian bush foods, and he has plantation bamboo, a vegetable garden, and a timber plantation. An arboretum of rainforest trees has been planted adjacent to the all-weather training space and a green house has been established to provide certified organic vegetable seedlings and some native tree stock for the farm. Tim uses the property to protect and provide habitat for native animals and birds. Almost all the South Eastern Australian predatory birds are seen on the property with occasional visits from nomads such as peregrine falcons. Approximately one fifth of the 100 acre farm is under a Voluntary Conservation Agreement for perpetuity. The property has a wonderful variety of flora in a Subtropical Rainforest remnant and it has two endangered plant species, the Illawarra Zieria, Zieria granulata, and also the Illawarra Socketwood, Daphnandra johnsonii. The farm is also actively involved in feral animal control programs, reducing the numbers of foxes, myna birds, feral cats and starlings to name a few. Wildlife cameras are used to monitor both native animals, and feral animal control programs. A nest box construction project is underway with the young people, and with local consultant Gary Daly’s advice, boxes are being built for parrots, sugar gliders and bats. Around 10,000 trees have been planted in this last 15 years over the whole property. A conscious effort has gone into joining the remnant patches of vegetation with wildlife corridors planted across the landscape towards neighbouring properties. Landcare Illawarra and the CVA team have contributed to the recent phase of planting. The rainforest area of the original Conservation Agreement will be greatly extended by plantings along its borders, down the creek and across the hill. A major challenge for the site is the browsing of the black tailed swamp wallabies and occasionally deer. It is surprising what a wallaby can do, as they eat most of the species and they seem intent on preventing canopy closure and loss of their browsing habitat. We have resorted to individual guarding of trees with good quality, tall-enough chicken wire. The successful establishment of planted trees has improved dramatically since that decision was made. Good quality guards and sturdy hardwood stakes are able to be reused many times and they can’t be pushed over by regular wallaby visits or the occasional deer. Morning tea and lunch included, please bring your own snacks and water.